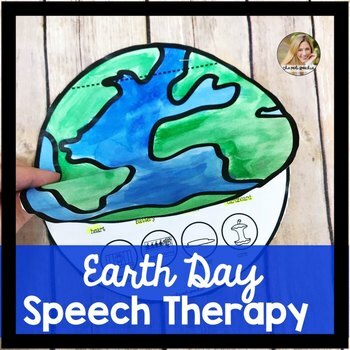 Earth Day Activity for Speech Therapy: engaging interactive flip book craft for articulation and language - wonderful April Speech and Language resource! 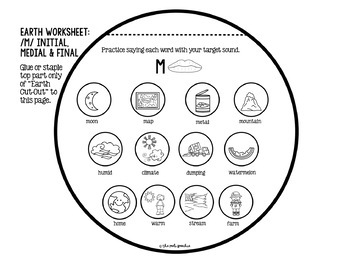 Easily celebrate Earth Day with this articulation and language activity! Make your Earth Day flip book as long as you’d like by combining pages. To assemble, simply print and cut out the Earth Cut-Out, along with any other target pages you’d like. 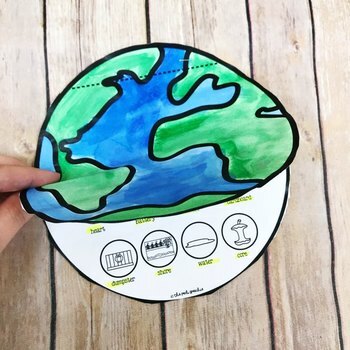 I recommend having your students color or paint the Earth Cut-Out. Your students will answer questions or practice speech sounds. These sheets can be used with pencils, daubers, or markers. Assist your students with attaching the sheets together using glue or a stapler. 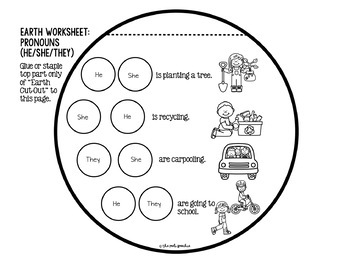 Then, create an awesome bulletin board display with this Earth Day freebie. Please check out the preview for a closer look!